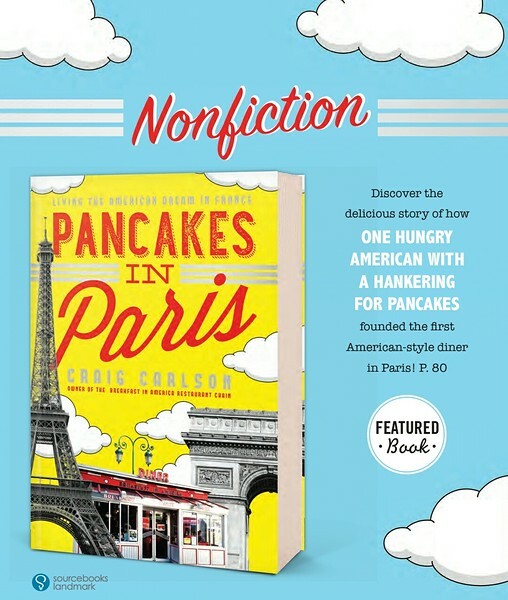 A book review of Pancakes in Paris by Craig Carlson. Post may contain affiliate links. I admit it, I will ready any book that has Paris in the title. It’s a dream of mine to visit Paris someday, though I admit I’m afraid I may have such high expectations, I worry that it won’t live up to it! So, Pancakes in Paris was chosen solely because it had Paris in the title. This was a very interesting and enjoyable read. It is an account of Craig Carlson actually setting up a restaurant in Paris called Breakfast in America. It was fascinating watching his dream come alive. It was not an easy journey and I admit I would have probably given up many times through the process. It is a look into the workings of the small business bureaucracy in Paris. I’ve jumped through some similar hoops in the United States, but it is nothing like what he had to go through. I love that it also gives a peek into more of the French culture. One of my favorite parts was when Craig was going to be called into the police station for questioning regarding some of his staff. When the police learn that he is on vacation, they say to let him enjoy his vacation and he can meet with them when he returns. I admire the French’s notion that vacation is sacred and important to your health and well being. So sacred that employers are actually told to remind their employees to take vacation. I really enjoyed this book. The writing is not fantastic, but his personality does shine through, and the story is interesting enough to hold it’s own. I like that he didn’t try to interject too much personal life into this story. There is just enough personal thrown in to let you get to know Craig as a person and it added to the story that he was telling. If you love anything about Paris you will enjoy this book. If you own a small business and are curious about what it’s like to set one up on in foreign country, you will enjoy this book. If you like to read about people who make their almost impossible dreams come true, you will enjoy this book. I love memoirs, this sounds great.